The day that I received this review unit, I fell ill and took medical leave to rest at home, a bitter-sweet coincidence. 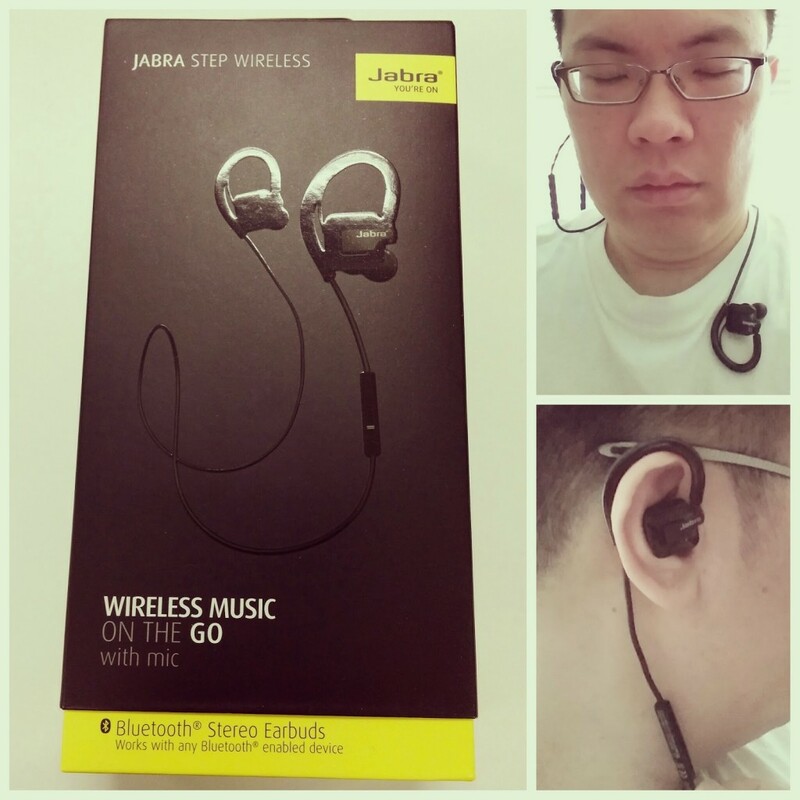 After sleeping the most of the afternoon to nurse my flu, I woke and unpacked the Jabra Step Wireless. 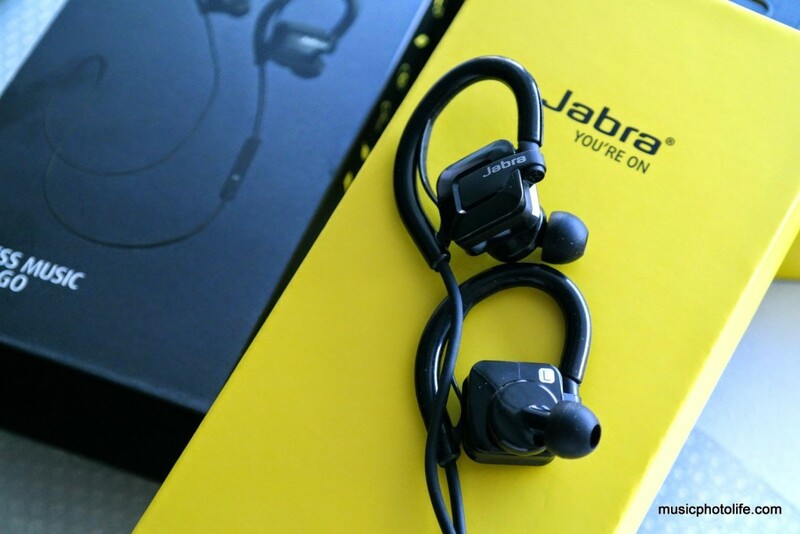 Jabra’s packaging is simple and effective. A slip-in outer shell reveals the full-yellow inner box. On the inside, the headset is padded in foam, covered by the 5-minute quick guide. Accessories includes 3 EarGels (TM), 1 removable GelHooks, 1 short USB cable. All the accessories are in black, just like the earbuds, offering a blended look for the wearer. Weighing just 16.5g, the earphones are housed in glossy lightweight plastic mould, the microUSB port and LED indicator on the right ear. In-line controls are the usual 3 buttons that does everything from volume control to call answering to play-pause and skipping tracks. Due to somewhat the shape of my ears, it is always a challenge to fit headsets that goes around my ears. But the flexible silicone GelHooks are pretty comfortable, I must say. The Step Wireless features an angled speaker driver, and I find myself trying to stuff the earbuds into my ears while keeping the GelHooks behind the ears, which was not correct. The purpose of the GelHooks is to keep the earphones on your ears while you do your workout and alleviating pressure on your ear canals from supporting the earphones. So instead of forcing the earbuds into my canals to form a vacuum seal, I should just rest outside the canal. The EarGels provide cushion and keeps out some ambient noise while you listen to the music. It is not supposed to provide tight noise isolation, so if you are trying to achieve that, then you’re wearing it wrong. 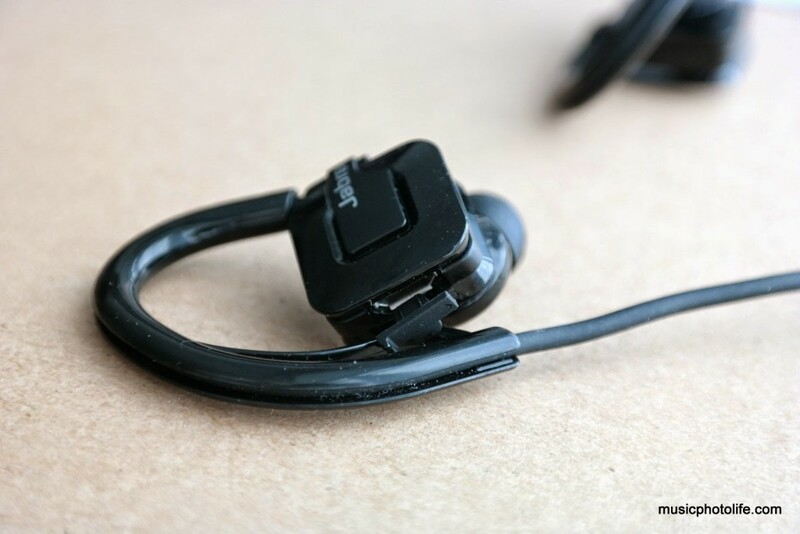 The unique feature about the Step Wireless is its removable GelHooks. People who find the GelHooks uncomfortable or unsightly for casual wear could remove them when not doing exercises. On the whole, the Step Wireless feels a lot more comfortable to wear compared to Rox Wireless, at the expense of audio dynamics. With a proper fit, the Step Wireless actually provides quite a satisfying audio experience. There is decent instrument separation, though overall the sound is not as tight. The treble is clear but not overbearing, the mid-range gives the sound a tinge of warm feel without too muddy. But due to the design purpose of the Step Wireless, the listener will find that the sound lacks the huge bass, as the earbuds do not seal tightly. If you adore huge bass, then I would recommend the Rox Wireless. The wireless quality is good. I cannot hear any transmission distortion even when listening soft music. After I recovered from my flu, I wore the Step Wireless for a run. Although it is not positioned for sports and fitness use (it is IP52 certified, good enough for general water resistance), the earbuds stayed in place throughout, thanks to the GelHooks, without putting too much pressure on my ear canals to hold them in place. The voice prompts are minimal unlike other pricier Jabra models. When turned on, you are greeted with “Hello”. When you turn off, you hear “Goodbye”. Other operation indicators are presented with beeps, for instance, when adjusting volume, when battery is low, when paired to the device. A minor issue is that the battery low audio indicator comes in mere minutes before the headset goes dead, leaving you little time to reach for a power source outside. Standby time is decently long. The Step Wireless remains paired to your device and ready for action throughout the day. I did not attempt to test the battery life because your usages may vary. But if you stream music, it will last you about 5 hours. And since the headset dies within minutes of a battery low indication, I would prefer to charge it every evening if you use it daily. Jabra positioned the Step Wireless as an entry-level daily-use product, but I thought it was really well-designed and well-priced. I like the no-frills maintenance: just throw the headset in your bag for there is no fear of breaking the removable GelHooks. If you don’t like the GelHooks, you can remove it and loop the wires naturally behind you ears. The Jabra Step Wireless has got the right balance of functional features at a low price without sacrificing quality. 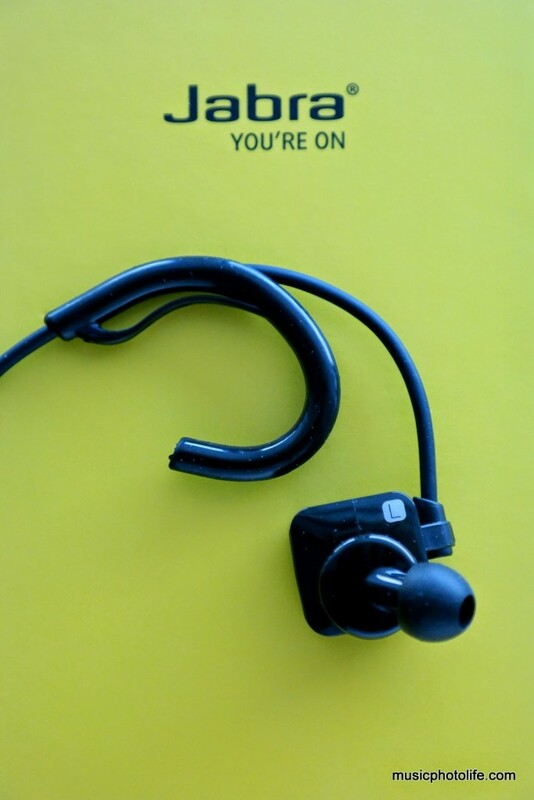 That’s what you get when you buy a brand with decades of experience in wireless portable audio headset. 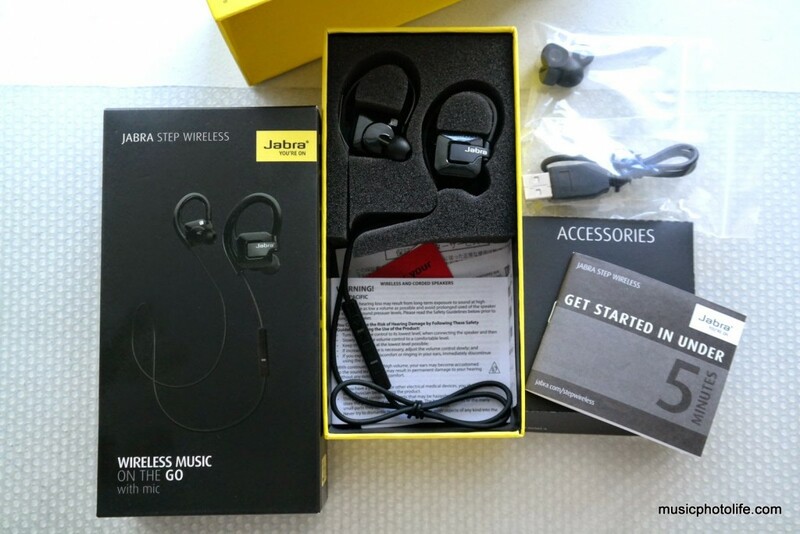 The Jabra Step Wireless retails for S$108 in Singapore. I’ve found these rather mediocre at best. The ear hooks never seem to fit securely and are always popping out from behind one ear or another at the slightest turn of of my head. That might be due to the fact that the cord is actually twisted in a weird way such that when allowed to hang down naturally from the middle of the cord, the ear bud housings don’t face each other as you’d expect, but rather one or the other is out of kilter by at least 90 degrees. When the ear hook refuses to stay put, I invariably find that the cord has twisted itself *inside* the ear hook, presumably resuming its natural resting position, so that if I insist that the gel hook stay on my ear, then the bud itself is pointing anywhere but actually into my ear canal. It is possible to dispense with the ear hooks, which means you need to sides. I find that they sound fine and will stay put; however removing the ear hooks adds length to the cord, which in turn leads to snagging on the back of my jacket collar. So to solve that problem I could…maybe it’d be possible to…perhaps one might…what am I saying?? I’m taking the damned things back and exchanging them. This sort of thing is why I always get the two year replacement plan.